A graduate of the National Institute of Circus Arts, Jordan presents his highly skilled dynamic diabolo act. 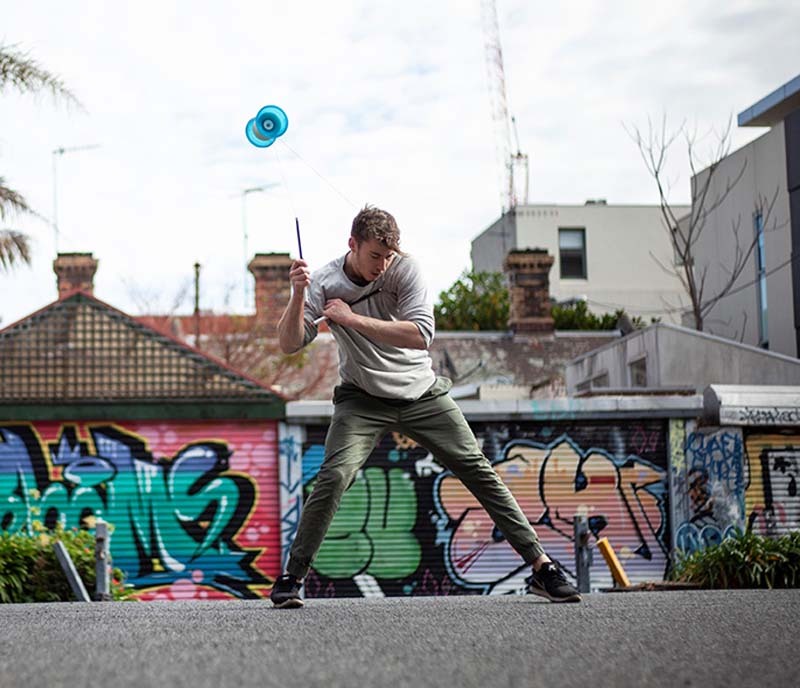 Learn diabolo from National Institute of Circus Arts graduate and manipulation extraordinaire, Jordan Twartz. All levels of experience are welcome.